Marriages end for a variety of reasons. Infidelity, drug or alcohol abuse, money issues, and infertility are just a few reasons couples choose to go their separate ways. Whatever your reason for divorce, you must have an attorney. Many people feel that since they are amiable toward their soon-to-be ex-spouse, they do not need to hire a lawyer. However, this is simply not true. Going through a divorce can be extremely complicated and an attorney can help you navigate through the process. But choosing the right attorney is vital to success. Finding the right divorce attorney is difficult. 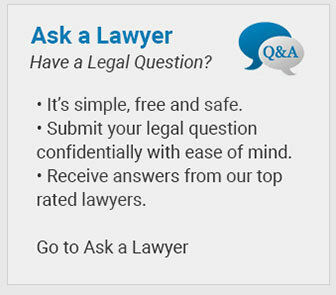 So to help, we created a few quick tips about what to look for in a reliable divorce lawyer. Someone who practices divorce law. Divorce law requires someone who is both tenacious and sensitive. The attorney you hire should focus a significant portion of their practice on divorce law. Do not consider hiring relatives or friends simply because they are lawyers. There are many different types of lawyers and someone who focuses on personal injury or bankruptcy cannot provide you with the legal guidance you need to protect your rights in a divorce proceeding. Experience. Unfortunately, not all divorces end quickly. Some divorces are long and hostile, and as a result you need an experienced divorce attorney who is prepared to fight for you. Success in and out of court. When choosing a lawyer to represent you, look for someone who has a record of success in and out of court. The person you hire should be skilled at out-of-court negotiations involving child support and custody issues and division of property and assets matters. However, your lawyer must also be a formidable litigator who is ready to handle a long trial. Knowledge of alternatives. The divorce attorney you hire should also be able to recommend alternatives to traditional divorce. He or she should be able to clearly articulate the difference between separation and divorce. Your attorney should know collaborative divorce and mediation and explain the advantages and disadvantages of these cooperative approaches. At the Law Offices of Adrian H. Altshuler, we have extensive experience handling separation, divorce, child custody, child support, alimony and adoption. Clients rely on the Law Firm of Adrian H. Altshuler & Associates to protect their interests. They know we do everything we can to aggressively pursue justice on their behalf. We can do the same for you. Our firm represents clients in Franklin, Brentwood, Spring Hill, Columbia and throughout Williamson County. Call us today at (615) 412-1121 or use our convenient online form to schedule your free initial consultation.